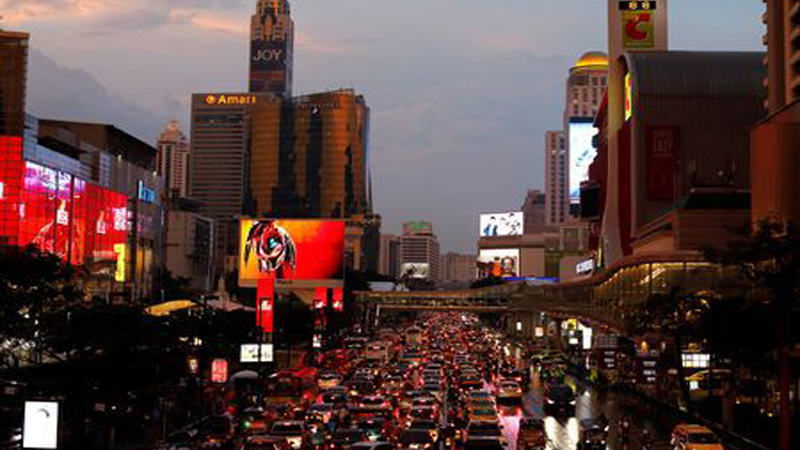 Thailand’s economic growth in July-September is expected to have slowed from the previous quarter, a Reuters poll showed, as softer exports and tourism offset a pickup in private consumption. The median estimate from a poll of 12 economists saw seasonally-adjusted growth of 0.6 percent in the third quarter versus the second quarter. Respondents’ estimates ranged from 0.2 percent to 1.1 percent. Gross domestic product grew 1.0 percent in the June quarter, slowing from the first quarter’s 2.1 percent, which was the fastest pace in five years. The poll’s median forecast saw annual growth at 4.2 percent in the September quarter, below the June quarter’s 4.6 percent. The central bank has forecast slower growth in July-September and said it might lower its 2018 export growth forecast following September’s unexpected decline in shipments. Southeast Asia’s second-largest economy, which is heavily reliant on external demand, has seen a pick-up in growth, although exports have slowed and tourism took a hit after a boat accident in July killed 47 Chinese visitors. Thailand’s exports to China, its second-biggest market, slumped 14 percent in September on-year, and are likely to remain weak in the wake of the intensifying Sino-US trade war. Tim Leelahaphan, an economist of Standard Chartered, said while growth likely slowed, it would remain robust and in line with Thailand’s potential growth rate of around 4 percent. Political campaign spending leading up to a general election, which needs to be held by May, should give a “short-term boost to growth” through campaign-related activity and rural spending, he said. The median forecast in the poll for full-year growth in 2018 was 4.5 percent and was 4.2 percent for 2019. Last year’s growth was 3.9 percent, the fastest expansion in five years. In July-September, Thailand’s year-on-year exports growth slowed to 2.6 percent from the June quarter’s 12.3 percent. Manufacturing also moderated. Growth in third quarter foreign tourist arrivals slowed sharply to 1.9 percent on-year, with Chinese visitors down 9 percent. But annual growth in private consumption accelerated to 6.5 percent the third quarter, with domestic car sales surging. Private investment rose 2.8 percent from a year earlier, while government expenditure increased 2.3 percent. The National Economic and Social Development Board, which compiles GDP data, forecast GDP to grow 4.2-4.7 percent this year, with exports up 10 percent. It will publish new projections on Monday. The central bank on Wednesday left its policy interest rate unchanged at 1.50 percent. But it noted a reduced need for accommodative policy, reinforcing the view that it might next month hike the rate for the first time in more than seven years.